Sometimes you can be riding the crest of a wave and it seems like you have picked up so much momentum that you are something of an unstoppable force, and then someone drops something on the tracks and the whole damned locomotive is derailed. Roseanne, both the show, and the person, have been somewhat divisive in the past. In a way it was almost like the Conners were matched with the Huxtables from The Cosby Show, and at the time the Conners were not really coming out in front. But they were real, and they represented a certain slice of life. People may want to dispute that, but there wouldn’t have been any demand for a return to the show and there wouldn’t have been such a good turn out if it weren’t true. There wouldn’t have been so much disappointment for the rest of the crew when Roseanne Barr trampled her way through a rather, to put it politely, inglorious set of tweets. Sometimes you can dig in so far that the only way out is through the bottom. The name change for the series shows that the PR coup was pulled off by ABC. They acted decisively when Roseanne’s racist tweets blew up everywhere, and fired her from the show. The future of the show wasn’t just in jeopardy – it looked dead in the water – how do you have a show named for a star who isn’t in the show any longer? Well, what you do is you look at what people like and you see that people have empathy not only with the characters in the show, but the actors who were going to now be out of work, and you see that you still have a whole bunch of people whose stories people want to hear. I haven’t looked to see where the older seasons of the show ended up, but the newest season of Roseanne disappeared off of Hulu straight away. The Conners allows more stories to be told, but how do you deal with the work of someone whose views are considered problematic? If you like the work where does that leave you? Can you divorce it from the person who made it? Do you want to trash House Of Cards because of something Kevin Spacey did? Can you edit the significance of The Cosby Show out of history because of the actions of Bill Cosby? Some people argue that you should – that all art made by problematic people should be burned or trashed, or deleted, or just relegated to history. Start to dig though, and then get back to me on that one, because there are a lot of people who created what some would consider to be the best examples of art, and they have done some very difficult things to stomach. I am in no way an apologist for any of these people, and I haven’t resolved the issue for myself, but something like the transition from Roseanne to The Conners is a little easier to parse because there is more than one creative person involved. The point is, if you have this kind of product, or you have the kind of set up where one person in the company is causing you issues, and the company really does have a viability that would allow the company to persist past the point where this person leaves, then you really don’t need to have that person around causing you PR issues. Your own ability to say that is not what we are about, and by cutting ties to that, we are demonstrating that we are about something else positions you very well to move forward in a new direction. It happens – sometimes people you employ, or people you started the company with even, start to take themselves and their areas of responsibility in the wrong direction. When you spot this, you can either choose to go down with the ship or you can choose to jettison the problem person and right your course. It can seem more complicated than it is. Sure, you don’t always need to chop someone off at the knees to make a point and handle the issue – you can give them a chance to get themselves straight, but you have to have a point by which they are not continuing the problematic behavior, or they and you are both not going to survive. 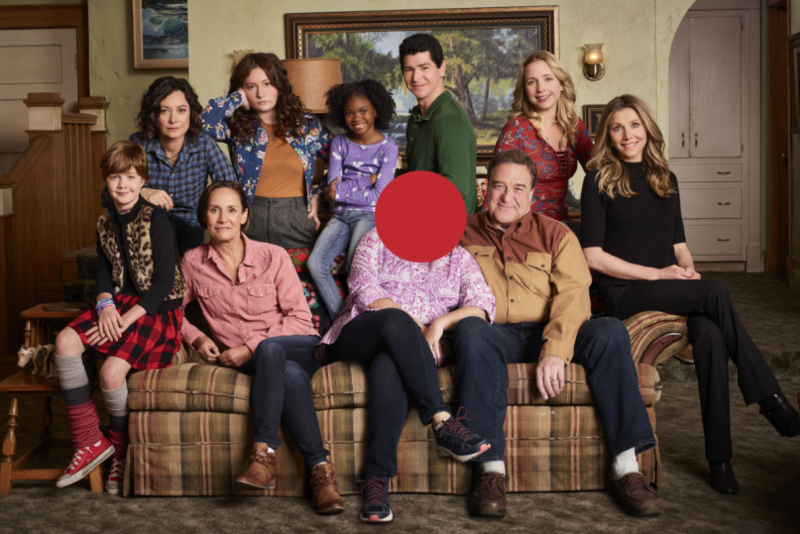 At the end of the day it doesn’t matter if you liked Roseanne or if you are going to watch The Conners, but you can learn from what Roseanne did wrong, and what ABC did right. and you have to respect the channel for their handling.